are very easy to find these days on various websites. There are lots of websites that provide templates for free. Most of them can’t be used for professional purpose as they possess no quality. These Free Vintage Car template aesthetic sense, proper typographical use and hard to change according to the users’ need. Hence they end up loosing their faiths on free templates. also it have two psd file home page and portfolio page. 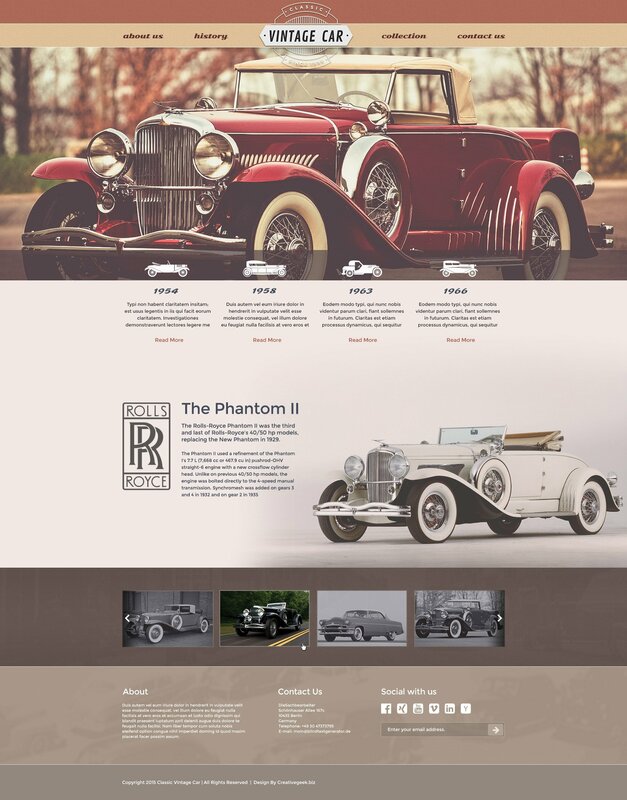 I decided to create high quality professionalFree Vintage Car template for people who are not techie and much familiar with designing and developing web templates. There are lots of people who need websites for their own purpose or for business purpose but don’t find any aesthetically designed templates of their choice. You do not have to buy any templates from websites any more. Here we are providing high quality, international quality templates for free of cost. All you have to do is download, change and use. Layered PSD template makes it easy to change design, color, theme and orientation according to your requirements. Latest technology css3 and HTML5 template that can be easily modified any time. Responsive design reflects on proper viewing on smaller devices like pads or mobile phones. Nice typography and beautiful Google free fonts are used to make the site more catchy. Free jquery plugins and resources are used to make the template more interactive and user friendly. 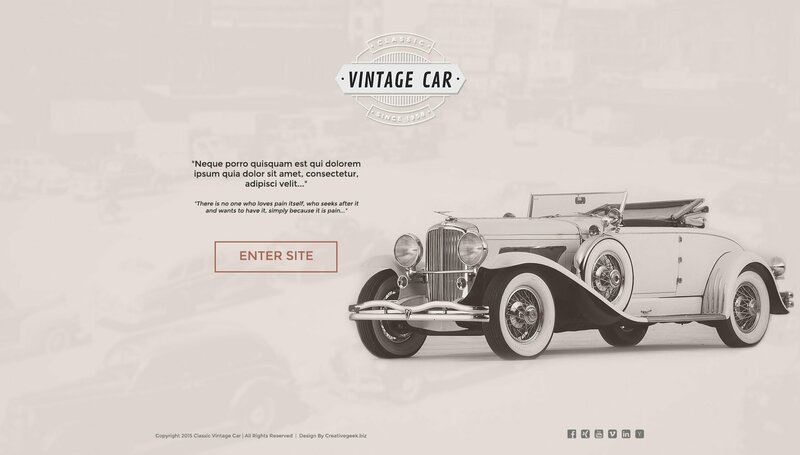 You can use this Free Vintage Car template for personal or commercial purpose. You can change, modify and do whatever you want, there are no copyright issues for this template as this is absolutely free and open for everyone but we will be happy if you give us some credits while using this template. Did I mention it was FREE !! Do enjoy your download. Awesome, I might use it for a Taxi site. Great layout!